WE ARE USUALLY ON SITE AND HAPPY TO HELP, IF YOU ARE UNSURE OF ANY OF OUR RULES THEN PLEASE ASK BEFORE FISHING. NIGHT FISHING BY APPOINTMENT ONLY. NO DOGS ALLOWED OTHER THAN REGISTERED ASSISTANCE DOGS ONLY. NO OTHER EXCEPTIONS. NO CHILDREN UNDER 14 YEARS ON SITE UNLESS ACCOMPANIED BY A RESPONSIBLE ADULT AT ALL TIMES. ALL NETS MUST BE DIPPED, (keep net, landing nets, any net bags and unhooking mats) AND DRY IN UV LIGHT (on bank) 20mins BEFORE PUTTING IN TO THE WATER. BARBLESS HOOKS ONLY MAXIMUM TO SIZE 10. NO FISH TO BE REMOVED FROM THE SITE. ALL FISH TO BE RETURNED TO THE WATER ALIVE. NO CARP WHATSOEVER OR LARGE SPECIMEN FISH (over 4lb)TO BE PLACED IN KEEP NETS. ONLY FISH FROM BEHIND THE RECOGNISED PEGS PLEASE ENSURE THAT YOU ARE NOT FISHING IN A MANNER THAT WILL DAMAGE THE BANKS. NO FISHING WITHIN OR OVER THE WATER LILY OR REED BEDS. BAITED RODS SHOULD NOT BE LEFT UNATTENDED AND SHOULD BE WITHIN REACH AT ALL TIMES, WE WILL WIND IN UNATTENDED RODS. MAXIMUM 15lb LINE & SAFETY LEADERS/ HOOK LENGTHS TO BE USED AT ALL TIMES. ALL RUBBISH TO BE PLACED IN THE BIN BY THE NOTICE BOARD. DO NOT FEED THE WILDLIFE IT ENCOURAGES THEM TO REMAIN ON SITE WHICH WILL RESULT IN A CULL IF NUMBERS CONTINUE TO INCREASE. CARP FISHERMEN SHOULD BE AWARE THAT THERE ARE OTHER SPECIES IN THIS LAKE THAT WILL TAKE A CARP BAIT, CARE MUST BE TAKEN WHEN RIGGING, STRIKING, AND PLAYING A FISH SO THAT IT IS NOT DAMAGED OR UNDULY STRESSED. NO FLOATING BAITS WHATSOEVER. BAITS MUST BE PRESENTED AT LEAST 10 INCHES BELOW THE SURFACE. GROUND BAIT STRICTLY IN MODERATION NO CARPET BAITING, SPODING, BAITBOATS OR BULK DROPPING OF BAIT IN ANY FORM. LOOSE BOILIES SHOULD BE USED VERY SPARINGLY AND PREFERABLY IN SMALL PVA BAGS/NETS/STRINGER. 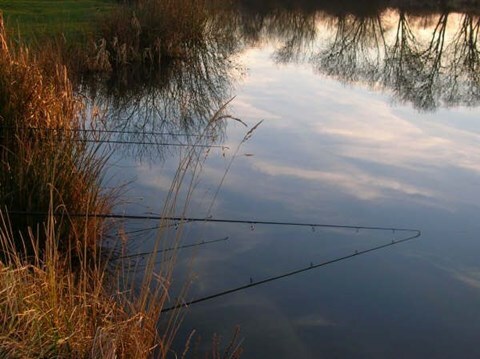 NO DISCARDED BAIT IN THE WATER OR ON THE BANK DURING OR AFTER THE SESSION. PLEASE DROP ANY UNWANTED BAIT INTO THE BAIT BIN PROVIDED. NO WHOLE NUT BAITES (COMMERCIAL NUT BASED BAITS MAY BE ALLOWED BUT PLEASE ASK BEFORE USING). 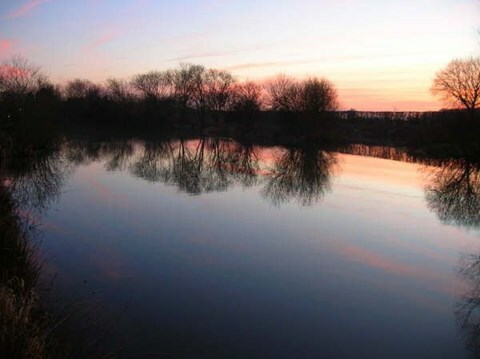 ALTHOUGH WE DO NOT HAVE A LONG LIST OF BAIT RESTRICTIONS WE WOULD HOPE THAT WHEN BAITING UP THAT YOU WILL KEEP THE HEALTH AND WELFARE OF OUR FISH STOCK A PRIORITY. 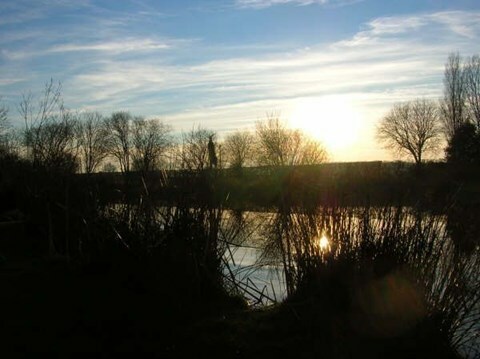 FAILURE TO ABIDE BY THE ABOVE COULD RESULT IN NET, BAIT RESTRICTIONS OR GROUND BAIT BANS. UNDER NO CIRCUMSTANCES SHOULD YOU ENTER THE WATER OR USE THE. BOAT/EQUIPMENT THAT WE HAVE ON SITE. PERSONS ENTER AT THEIR OWN RISK AND BAINSIDE COARSE FISHERY DO NOT ACCEPT ANY LIABILITY FOR LOSS, THEFT OR INJURY AND MAY BE ASKED TO LEAVE. WE RESERVE THE RIGHT TO REFUSE ACCESS. The lake fishes well on most baits with bread and sweetcorn generally best for mixed bags, with everything including the carp taking it. Pellet and maggot doing well for the smaller fish, and the larger carp taking most baits but do like bread and past baits.